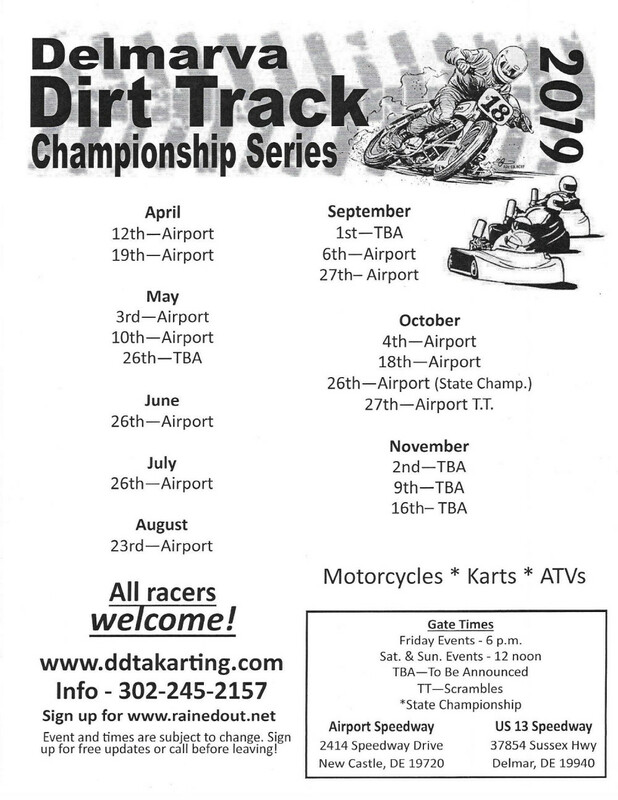 The Delaware Dirt Track Association is a Motorsports Club dedicated to go kart and flat track motorcycle enthusiasts. Go kart and flat track motorcycle races are held on weekends starting in March and run thru November. 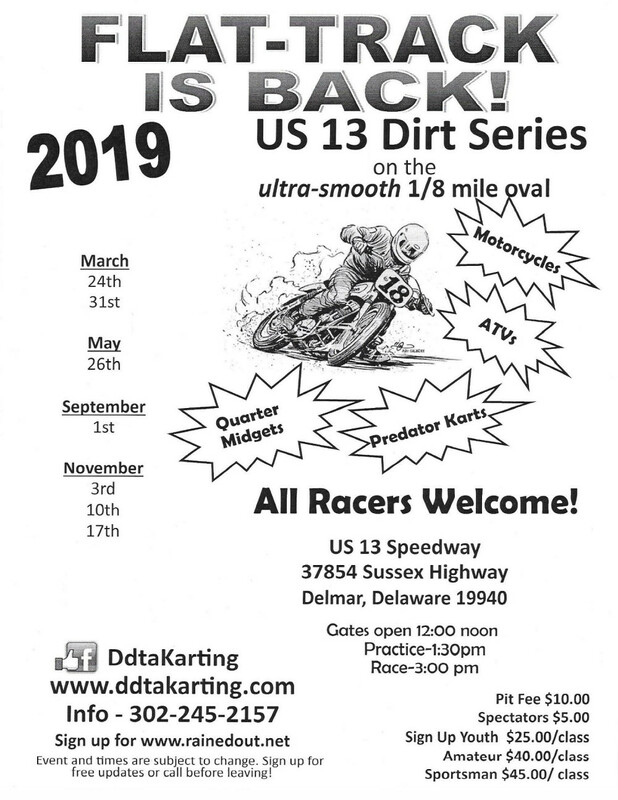 2019 marks the 12th year of motorsports racing for DDTA. Motorsports are seen as the perfect training ground for young racing enthusiast: the majority of professional motorsports drivers started their career at small, backyard facilities. Entering races at these types of tracks is easy and accessible for everyone because of the relatively low budget needed to buy racing equipment. Also, racing is perfect for young children to learn not only racing skills, but also learn skills that they will use for life such as how to get along with others, taking responsibility for ones actions, decision making, building independence, cooperation, learning respect for self and others, and much more. Unlike sitting in the house glued to the television or a video game, young racers are competitive athletes who must have strength, speed, and agility. Racer's bodies have to be able to endure heat, mental strain, and all kinds of physical pressure, as well as having fast reaction times, great coordination, and immense endurance and concentration. As it grows more challenging to provide such a training ground for these young athletes, we invite you to visit a local motorsports facility during an event and see first hand the true fundamentals of motorsports. The spirit of competition is evident on the track, but as you gaze through the pit area during an event you will see young racers playing together and making lasting friendships. Senior racers and crew members, while hard at work, are constantly discussing race strategies and set ups. They range in experience from novice through expert and come from all walks of life, but always take time to share a laugh together. You'll see family, whether it be a father teaching his son the proper maintenance of his racing machine, a mother strapping on her daughters safety equipment, a wife giving support with a good luck kiss before the race, or grandparents cheering on a grandchild's first race. This is where everlasting memories are made.